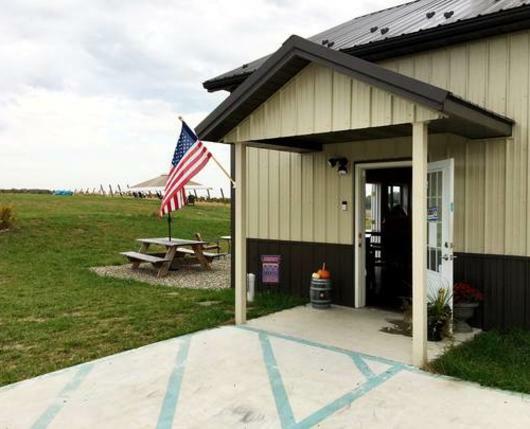 Nestled among the rolling hills and family farms of the Lehigh Valley AVA, and not too far from Allentown, the Weathered Vineyards sits atop a hill with a commanding view of the surrounding countryside. This hill top location produces several microclimates, which accentuates the unique terroir. 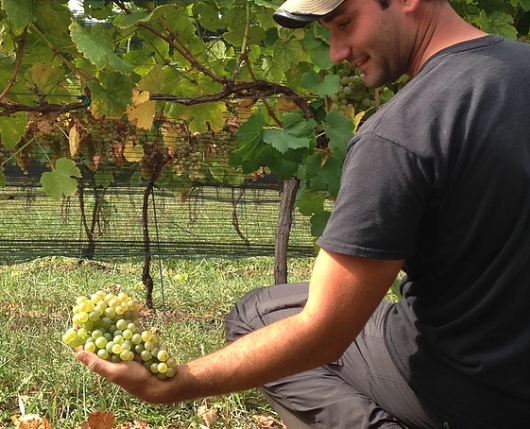 It all began in the spring of 2013 when 2,500 vines of four varieties of grapes (Cirrus, Sauvignon Blanc, Cabernet Franc, and Merlot) were planted over the three acres of the property. 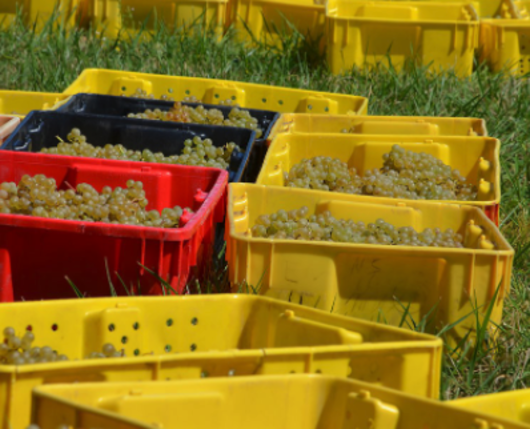 Due to a tough winter, the Sauvignon Blanc were replaced by Chardonnay, which is known to be a bit hardier. 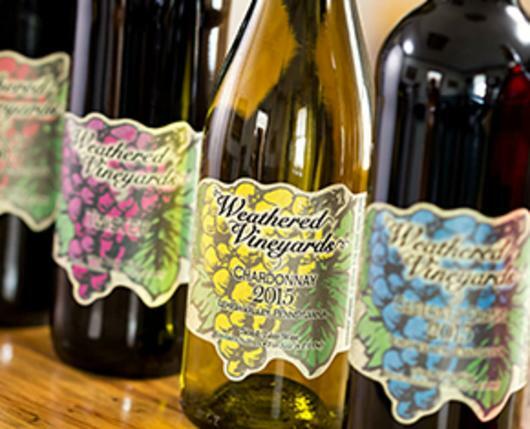 Today, Weathered Vineyards welcomes visitors to its tasting room where you can sample a variety of red and white wines. Events including happy hours and live music are often hosted at the winery. 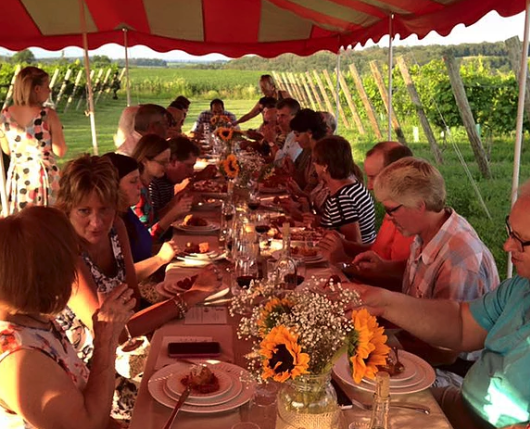 Visits by large groups must be pre-arranged; please contact the winery for details.